Ham House and Garden020 8940 1950workFilm/TV LocationOriginally built in 1610, Ham House is the creation of an enterprising courtier, William Murray, and his tenacious daughter Elizabeth. It is a classic example of a Stuart mansion and one which is often featured in films for TV and cinema. Filmed in 2013 for release in 2014 and directed by Alan Rickman and starring Kate Winslet, the story unfolds around two talented landscape artists building a garden for King Louis XIV’s palace at Versailles. Both the House and gardens feature in the film. Filmed in 2012 and featuring Ham House. Keira Knightley and Jude Law star in this film about late 19th century Russian high society. Keira Knightley, Carey Mulligan and Andrew Garfield star in this feature film with Ham House doubling as Hailsham boarding school where the characters first meet and discover their fate. A BBC drama of Jane Austen’s novel ‘Sense and Sensibility’ starring David Morrissey, Dominic Cooper, Dan Stevens, Mark Williams, Janet McTeer and Mark Gatiss. Scenes shot include when Marianne is saved by Colonel Brandon. Taylor Kitsch stars as John Carter in this science fiction fantasy film directed by Andrew Stanton and produced by Walt Disney Pictures. 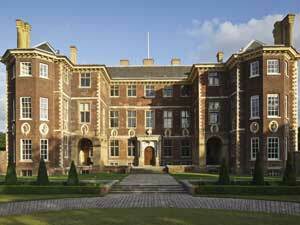 Ham House was used as Carter’s residence on earth. Starring Emily Blunt, Rupert Friend and Paul Bettany, Young Victoria was filmed at Ham House in 2008. The film shows the turbulent first years of Queen Victoria’s rule and the beginnings of her romance with Prince Albert. Originally built in 1610, Ham House is the creation of an enterprising courtier, William Murray, and his tenacious daughter Elizabeth. It is a classic example of a Stuart mansion and one which is often featured in films for TV and cinema.